The weather outside is frightful, but we think you'll find Library Bingo delightful! How does your bingo card look? If you like, show us your card or check out other's on the CGCC Bookstore and Library Facebook page. The dog days of August welcome a very funny read like Jonasson’s novel. 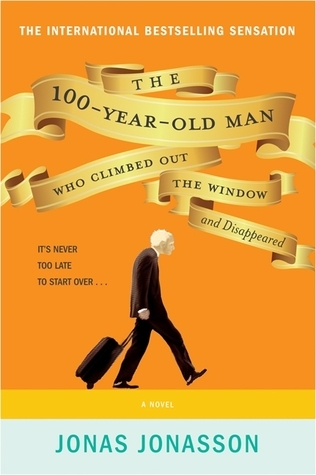 An octogenarian who’s lived quite a life reexamines the travails and adventures that formed his life. Rollicking isn’t quite the word, but could be. Think Zelig as written by Bill Bryson’s brother. 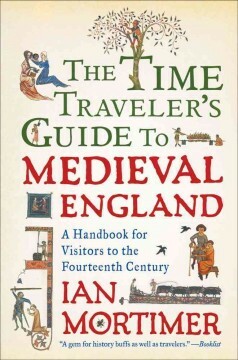 The Time Traveller’s Guide to Medieval England: A Handbook for Visitors to the Fourteenth Century, By Ian Mortimer. This is a fascinating social history of a time much written about. From the commonplace to the bizarre, Mortimer lays out every aspect of Medieval England from pikes to bogs, from the clothes you wear to the food you eat, then to how you die (see: Pikes). A nice escapist look at a time much visited in literature. From anthropologist Alice Roberts, a deep dive into the domestication of ten species that were changed by history: horses, dogs, potatoes, apples and more are brought to light un-dogmatically. Possibly the high point of numerical titles, Garcia Marquez brought magic realism to the forefront of literature with this book (although he didn’t care for that literary distinction.) At times weird and wonderful, One Hundred Years, is always worth giving up your time for, it pays back dividends you didn’t know existed. Salinger’s big book, Catcher in the Rye, obscures what could be considered his better work, his short stories (much like F. Scott Fitzgerald’s bane). Nine Stories is deceptively quick, delightful, layered, and worth taking to the beach to get out of your head if just for an instant. Yet, you’ll remember scenes from these stories long after the bananafish are washed off. What’s the significance of the North American Otter Pipe from Mound City, OH., or the Sutton Hoo Helmet from Suffolk, England, or Korean Roof Tiles from South Korea (pioneers of metal movable type!)? MacGregor deftly weaves the formations and destructions of civilizations through artifacts far and wide. This is not an obscure jaunt, but more as if Antique Road Show could really time travel and tell you endlessly fascinating stories. Curious Gorge: Over 100 Hikes and Explorations in the Columbia River Gorge, by Scott Cook. The Gorge trail bible for locals and tourists alike. Set geographically from Portland to The Dalles, Cook traces trails up and down the gorge. Trace is the optimum word here, because there are no topo maps, but plenty of asides, to keep you amused if you get lost. A completely captivating book of the pre-Columbus Americas. Mann uncovers rich stories such as the genetic engineering of food, running water systems, and the concept of zero long before Europeans showed up. This is a compelling book that could possibly change your worldview. First written in 1948, Orwell’s prescient vision of a world seemingly far too close right now. A classic that’s still readable that will take your breath away in it’s audacity of a future that always seems present. Most will remember the cinematic vision of Chief pulling out the sink in the film, but the novel takes that scene to a whole other level. The rich depth of the characters that Kesey creates are unforgettable, as is the metaphorical asylum all of us are caught up within. It’s fairly easy to say 1968 was the crux of the modern American political landscape. Turmoil, chaos, turns too deep to recover from, and hidden shenanigans belied any sense of probity. O’Donnell lays out a straightforward path through all the muck with a political knowledge that is unbiased and insightful. A must read to understand a crucial turning point of American politics. 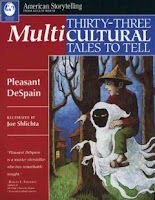 “The folktale is the primer of the picture-language of the soul.” Joseph Campbell. Enriching stories from around the world that still inform everyone of us. Buruma interweaves the chaotic plight of millions after the end of World War II with the personal story of his father who was captured in Holland by the Germans and forced to a labor camp in Berlin. One of the great transitions of civilization occurred after WWII and Buruma captures it perfectly. There are many takeaways here that pertain to issues of today.